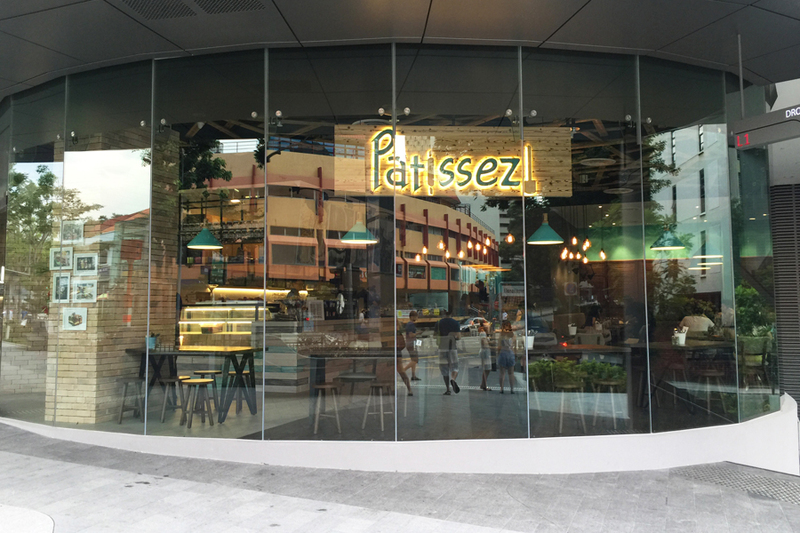 [Closed] Patissez Singapore – Freakshakes Now At Holland Village. Freak… It’s Not That Fantastic. Are they too late in milking it in Singapore? 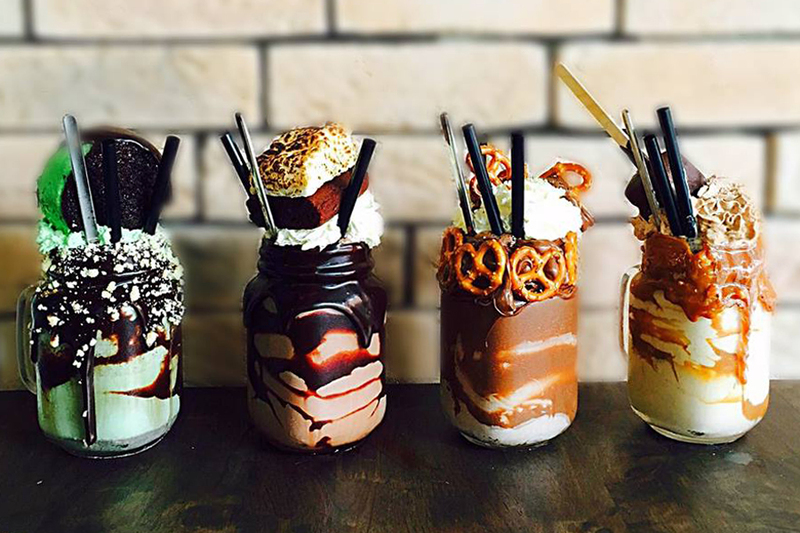 Café Patissez in Manuka, Canberra first gained internet stardom with their milkshakes piled with cakes, cookies, Nutella and whipped cream. The originator of the famed “Over The Top Milkshakes”. 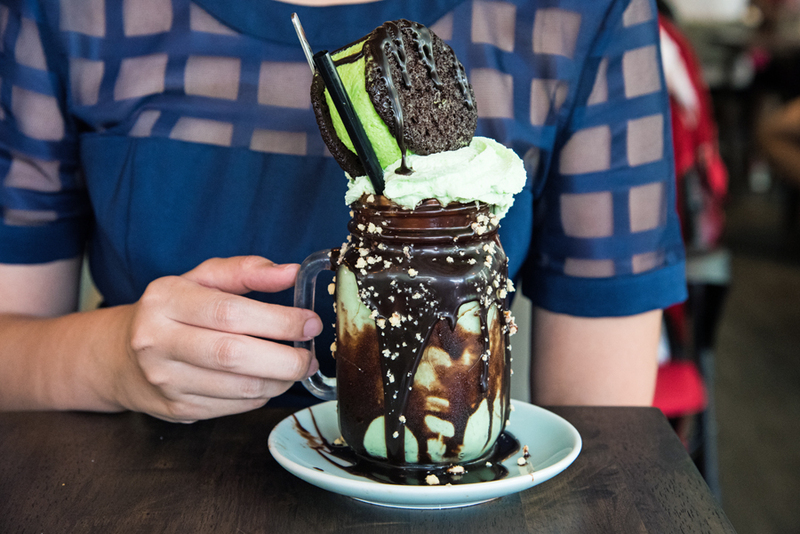 A ‘freakshow’ literally as huge toppings piled onto the overflowing milkshakes aka Freakshakes. The Freakshakes would probably be a big hit if it came to Singapore a year earlier, when our local versions of Over The Top (OTT) Milkshakes from Benjamin Browns, Cake Spade and many more were in the craze, as multi-coloured jugs of shakes appeared on social media feeds. Right now, in the middle of 2016, the ‘era’ of these OTT Milkshakes is considerably much over? 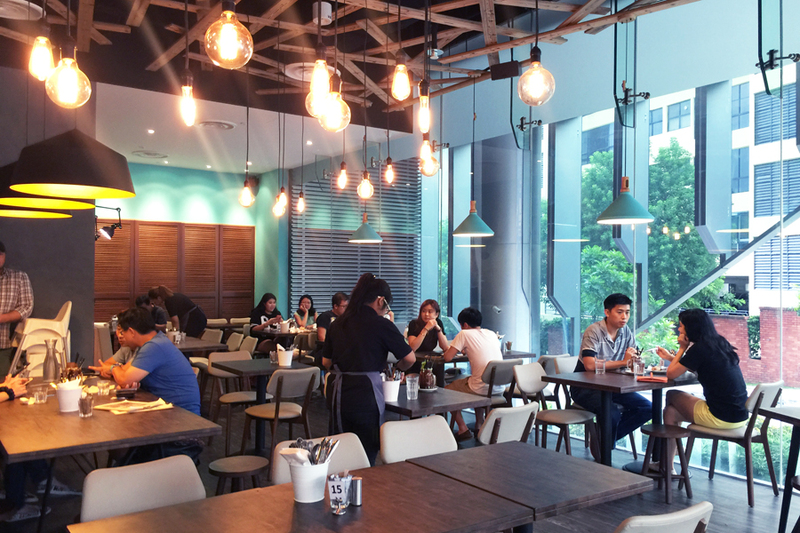 Located at Holland Village (as Barbarella would say “where the ang mohs love to hang out”), the Singapore outlet is the second outlet outside Australia. The first being in Kuala Lumpur, Malaysia. 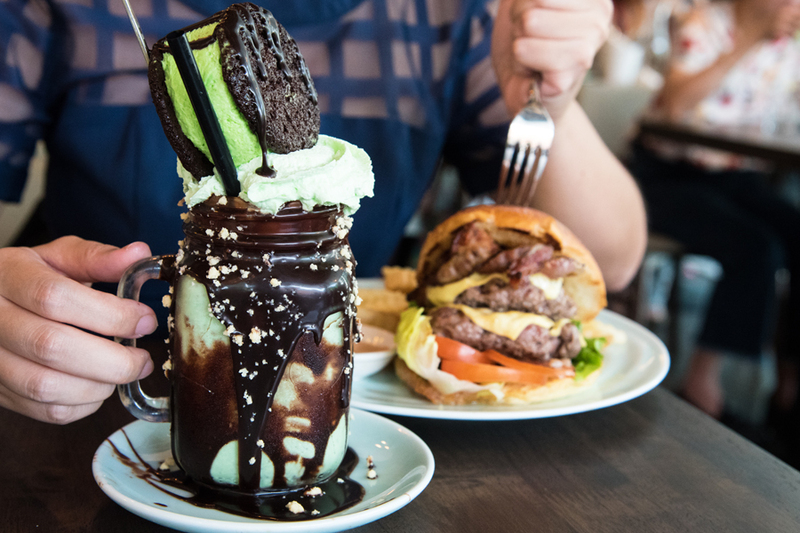 The Freakshakes ($16) are definitely the highlight, as seen at every table. 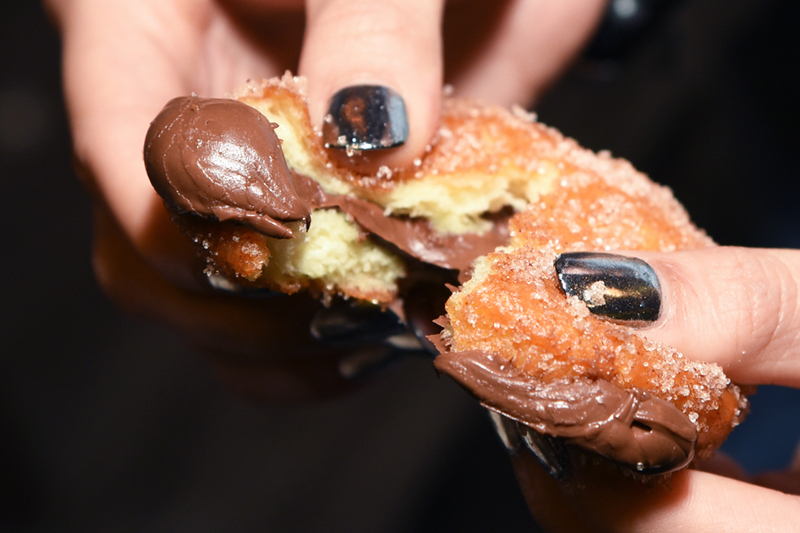 Muddy Pat for the chocolate lovers, Pretzella with a balance of salty-sweet Nutella, Mint Condition for a refreshing take and the Sneaky Freak for the Snicker lovers. Our favourite was the Mint Condition ($16) topped with a mint chocolate semifreddo and chocolate cookie sandwich. The outward appearance was less elaborated (aka less toppings) compared to our local OTT Milkshakes, but at a similar price point. For comparison, the Freakshakes at Canberra cost AUD13.90, approx SGD$14, whereas the ones at Kuala Lumpur outlet is priced at RM23, approx SGD$7.80. The milkshake was smooth, slightly creamy and not as jelak (rich). The minty flavour was distinct, yet not overpowering whereas sweetness level was on point. Considering the amount of toppings, perhaps $16 was a tad steep. Apart from their Freakshakes, All Day Breakfast ($13 – $25), Burgers ($19 – $25) and Salad ($15) are also available. 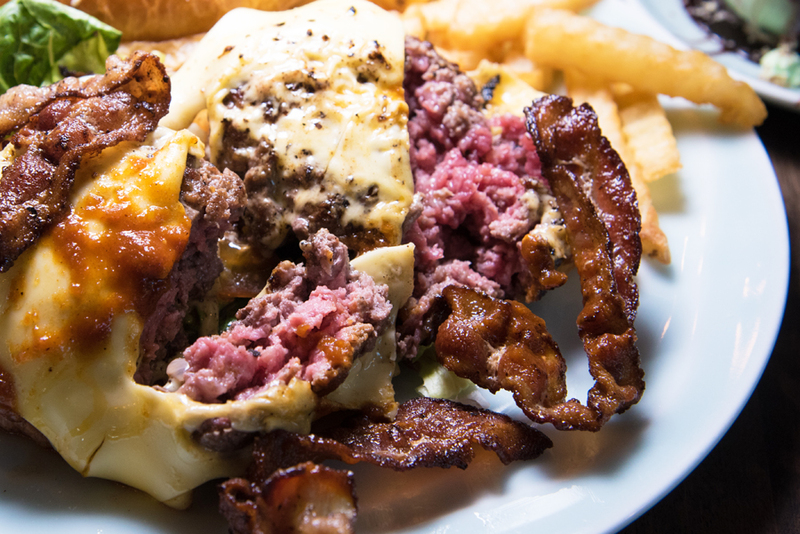 We had the Freak Burger ($25), as their name implies, was freaking huge, with 2 beef patties, crouble crispy bacon, bcaon jam, American cheddar and BBQ sauce. 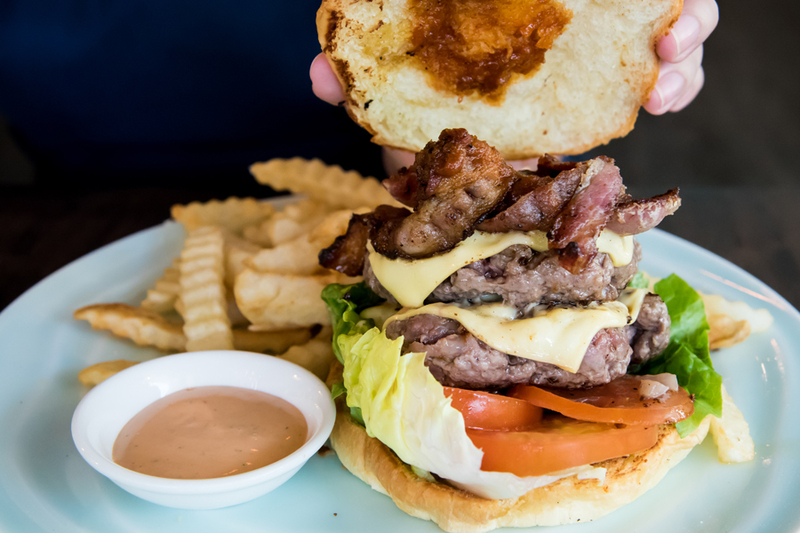 While we liked the soft and fluffy brioche buns and the crispy bacon, the medium rare beef patty but it turned out raw on the inside, with blood trickling out as the patty was sliced apart! Uh-no. Will the Freakshakes bring all the boys (and girls) to the yard? Sometimes it is all about the correct place at the correct timing.